Yes, the "workshop" ballet was just as life-changing as I'd been told it would be. I have a confession. Until today, I had never seen the seminal classic Center Stage. Summertime may be slipping away, but this clip from Sir Frederick Ashton's The Dream will transport you to a warm, enchanted summer evening. In this clip from an American Ballet Theater performance from 2004, Alessandra Ferri and Ethan Stiefel play Titania and Oberon, rulers of the woodland fairy realm from Shakespeare's A Midsummer Nights Dream. At once regal and whimsical, the proud lovers reunite and make peace after a quarrel in this final pas de deux. RNZB's Mayu Tanigaito and Joseph Skelton. Photo by Ross Brown, via rnzb.org.nz. In the latest round of "artistic director musical chairs," Royal New Zealand Ballet has announced major news: Patricia Barker has been named the company's new artistic director. Later this month, she'll replace Francesco Ventriglia. The company's first production under Barker, however, will be Ventriglia's brand-new Romeo and Juliet in August. Media4artists, Theo Kossenas, courtesy of The Washington Ballet. In the midst of American Ballet Theatre's annual eight-week long season at the Metropolitan Opera House, so much focus is on the company's rising stars. But it's always fun to look back at some of our ABT favorites from years past. We love this full-length film of the third movement of Clark Tippet's 1987 Bruch Violin Concerto starring Ashley Tuttle and Ethan Stiefel. In case that's not enough, Julie Kent, Robert Hill, Paloma Herrera, Keith Roberts, Yan Chen and Angel Corella join the leads on stage in a flurry of jewel-colored tutus. 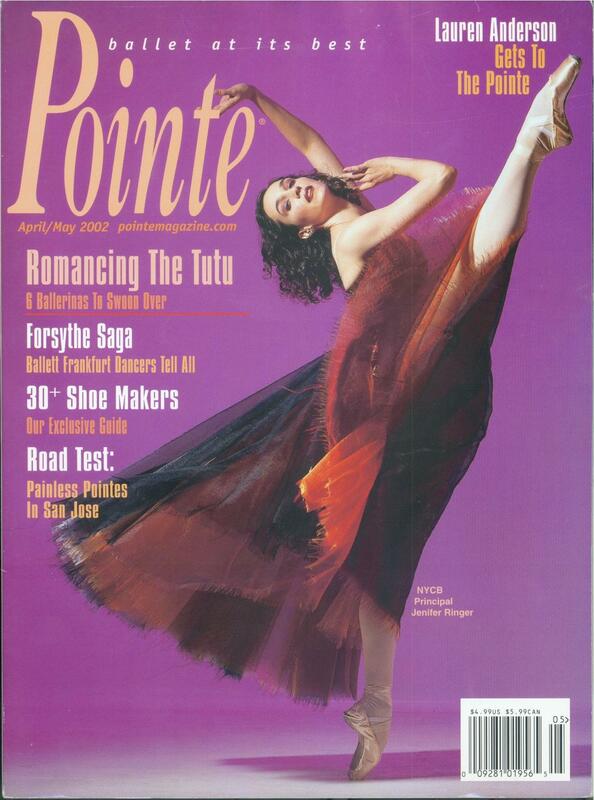 Since 2000, megastars and budding ballet celebrities alike have graced the covers of Pointe. Take a walk with us down memory lane as we recall some of the biggest names from some of our earliest issues. Whether they continue to perform or have transitioned to a position at the front of the studio, these stars have real staying power. Then: Pegged as "Ballet's Hottest Couple" on our cover, the duo had recently joined American Ballet Theatre as principals. Now: Though both have retired from ABT, they run a summer intensive in New York City, give limited performances as guest artists and have even designed items, like ballet booties, for Bloch. Dvorovenko also had a major role in the Starz's ballet drama "Flesh and Bone." Then: Zakharova was a young principal with the Mariinsky Ballet. Now: She's still tantalizing audiences with her breathtaking performances of ballets like Swan Lake—but with the Bolshoi Ballet. Last year, Zakharova also became a guest artist with Bavarian State Ballet. Then: The Spanish dancer was a leading performer with The Royal Ballet. Now: If someone can do it all, it's Rojo. She's currently balancing dual roles at English National Ballet as artistic director and principal dancer. Pointe even named her performance with Irek Mukhamedov in Annabelle Lopez Ochoa's Broken Wings one of the Standouts of 2016. Then: Way before Misty Copeland became a household name, she scored her first Pointe cover as a promising member of ABT's corps. Now: As ABT's first female African American principal, she's an all-around ballet superhero. Copeland has catapulted ballet into the mainstream and has championed issues like having a positive body image and diversity in dance. Now: Ringer traded East Coast for West when she became the director of the Colburn Dance Academy in L.A. If you're not one of her lucky students, you can read about her perspective in her memoir, Dancing Through It: My Journey in Ballet. 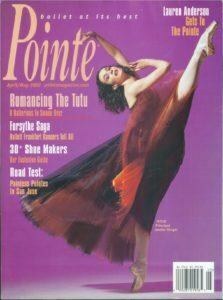 And, just last year, she also spoke to Pointe about how dancers can foster confidence. Then: The international ballet star had loads of fans at The Royal Ballet, but Big Apple audiences were also getting acquainted with him since he'd recently appeared as a guest with ABT. 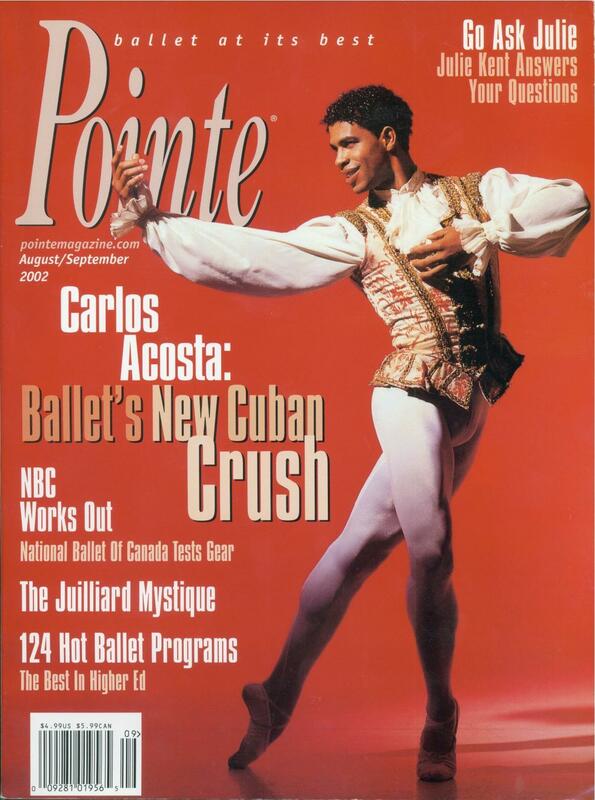 Now: He's busy leading his own company, Acosta Danza, in his native Cuba. Then: The Argentinian dancer was wowing New York audiences as a principal at ABT. Now: Earlier this month, Herrera became artistic director of Teatro Colón's ballet company in Buenos Aires. We can't wait to see what she does in her new position. 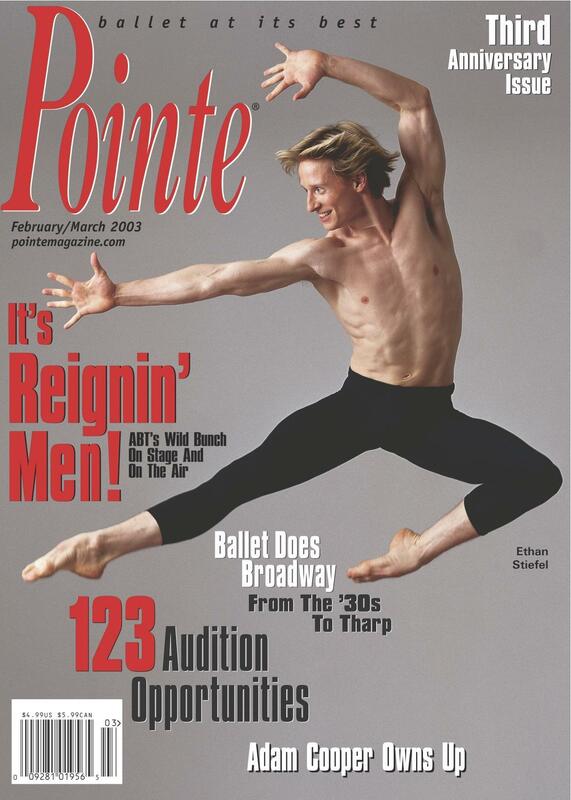 Then: Though he launched his professional career with NYCB, Stiefel was an ABT principal by the time he appeared on our cover. Now: Stiefel had a short stint as artistic director of Royal New Zealand Ballet from 2011 to 2014, but now, he's focusing on choreographing. His first major choreographic commission will premiere in May at The Washington Ballet. Former American Ballet Theatre star Ethan Stiefel will choreograph a new work to complete The Washington Ballet's triple bill in late May. When we first heard about artistic director Julie Kent's 2017 programming, we wondered which choreographer would join the bill alongside Frederick Ashton's The Dream and Antony Tudor's Jardin aux Lilas. The Washington Post reports that Stiefel's ballet will take inspiration from John F. Kennedy's investment in the U.S. space program and will feature a commissioned score by composer Adam Crystal. The ballet, with the working title Frontier, is set to coincide with the president's centennial. Ethan Stiefel on the set of Flesh and Bone. Photo by Myles Aronowitz, courtesy Starz. 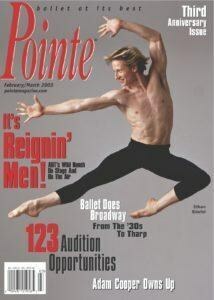 —Ethan Stiefel, the former ABT principal, Center Stage star and Flesh and Bone choreographer, will join the faculty as a principal guest instructor, working with the pre-professional division students. —Robert LaFosse, a former ABT and New York City Ballet principal, will also teach in the pre-professional division. —Former Hamburg Ballet and Royal Winnipeg Ballet dancer Fabrice Herrault is also joining the faculty. Now a world-renowned teacher, he's worked with dancers like Aran Bell and The Royal Ballet's Beatriz Stix-Brunell. —A former dancer with Paris Opéra Ballet, Karin Averty has become a well-known New York City-based teacher, and now joins the JKO School's faculty. This year's students are a lucky bunch. 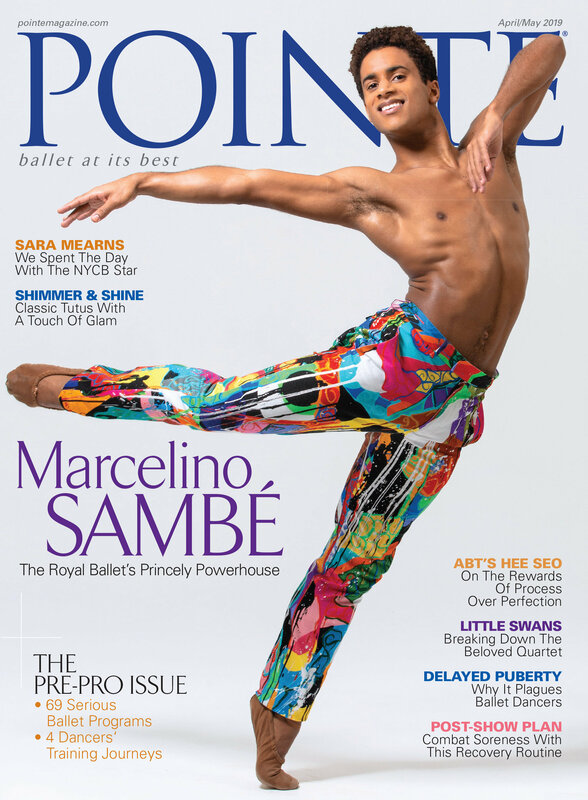 The JKO School is known for producing some of ABT's most exciting rising dancers—artists like Calvin Royal III, Skylar Brandt and our June/July cover star, Cassandra Trenary. And with such a strong group of teachers leading the way, who knows what exciting things we might expect from a new crop of students. Chances are you've heard a lot about Starz's "Flesh and Bone" over the past year, from its casting choices (22 professional dancers make up the show's fictional ballet company) to Sarah Hay's Golden Globe-nominated performance as a talented yet troubled young dancer who runs away from an abusive home to join a New York City ballet company. But have you seen it yet? For those who have been eagerly waiting, here's a piece of welcome news: the series was recently released on DVD and Blu-ray. Full disclosure: due to depictions of graphic sexuality and drug use, this show has a MA rating and is not for kids. But while the show's mature content and dark themes don't always present the ballet world in the best light, there's no doubt that it also features some pretty great dancing—as evidenced in the exclusive behind-the-scenes clip below. The video provides a glimpse of choreographer Ethan Stiefel working with the dancers on two ballets: Balanchine's "Rubies," and a new work that Stiefel created for the series.